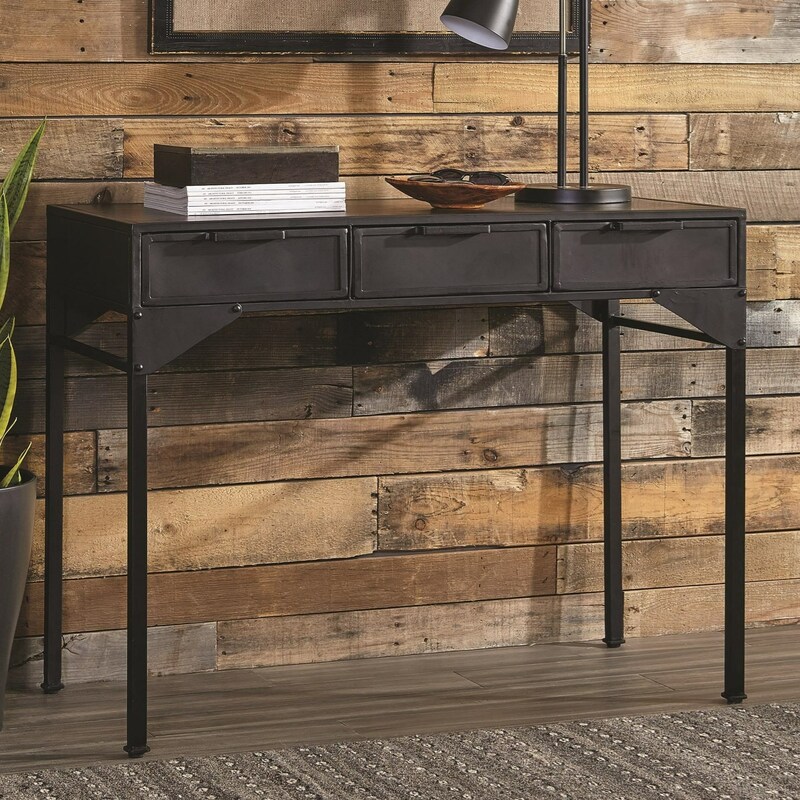 The Industrial Black Console Table from Scott Living features a striking look with its rich finish, tall legs, and solid metal construction. Three drawers offer storage for a variety of small items such as keys, remote controls, or keepsakes. Add this bold piece to an industrial loft, modern office, or farmhouse dining room for a touch of rugged yet chic style. 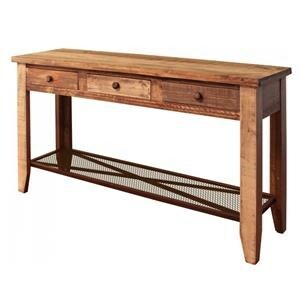 The 951049 Industrial Console Table by Scott Living at Ruby Gordon Home in the Rochester, Henrietta, Greece, Monroe County, New York area. Product availability may vary. Contact us for the most current availability on this product.